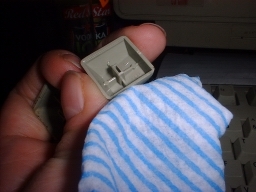 This is a very simple task but one for which I sought instruction before attempting. I couldn't find any clear directions so here are my own for future reference. Please note I can't be held responsible for any damage, follow my directions at your own risk! 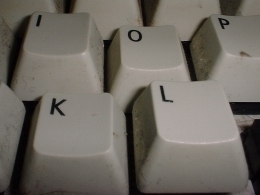 Are your keys sticking or dirty like these? 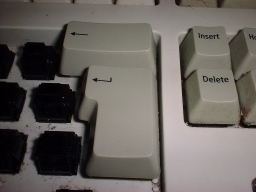 Use a small screwdriver head to lever off each key. Be careful to catch them as some will ping off! 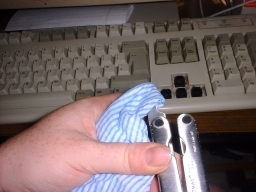 Clean each key as you remove it with a damp j-cloth. 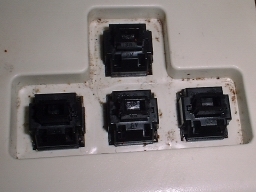 Although they look clean on the top, keys get filthy along the sides. 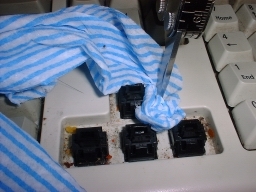 When you have exposed each area, wrap a damp j-cloth around a small screwdriver head. 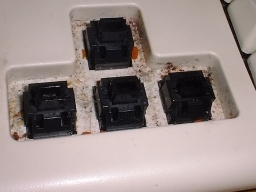 Get the cloth into all the nooks and crannies to clean the wells around the keys. ... to look like this. 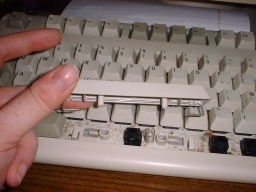 The space bar has a metal lever and spring underneath. When you lever it off, be gentle to prise the metal lever apart, and be sure to catch the spring! 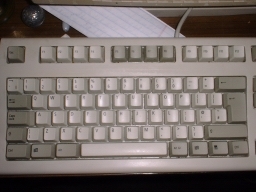 Other large keys also have the metal lever, but not a spring. 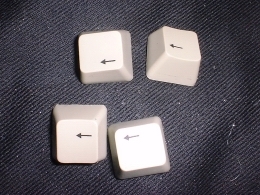 As you collect the keys be sure to keep them in order or they will get confused like these! 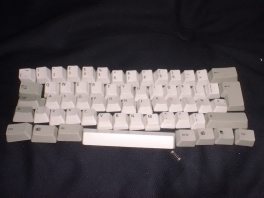 If you are unsure when replacing a key look at the contours as different rows have keys of slightly different heights. 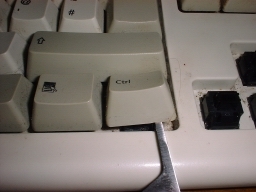 I prefer to keep my keys in order, like this. It means I know exactly where they go when I put them back! 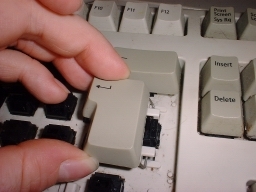 ... and snap into place with a small pressure from above, like with any key. 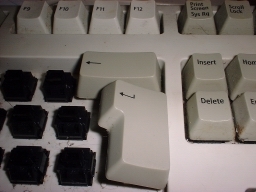 It's easiest to replace these large keys before the rest. Voila! 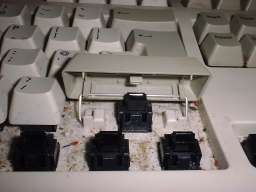 A clean, functional keyboard! 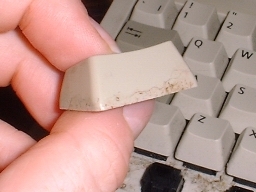 You can also use this picture for reference when replacing the keys.